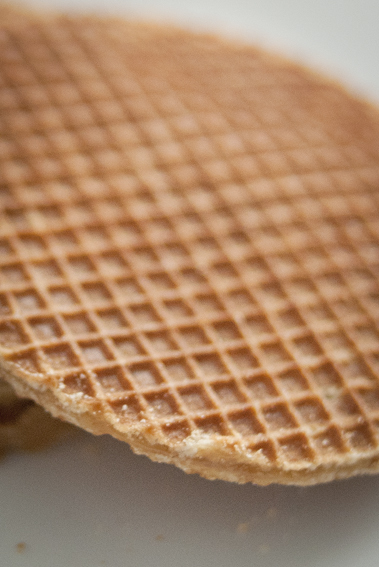 stroopwafels, what’s not to love? these Dutch cookies (literally translated as “syrup waffles”) are common in the Netherlands. they can be bought at supermarkets or fresh from vendors at markets. full disclosure: i have never had a fresh stroopwafel that was not from a supermarket (yet). i can only imagine they would be out of this world, since the ones i have eaten have been fantastic!